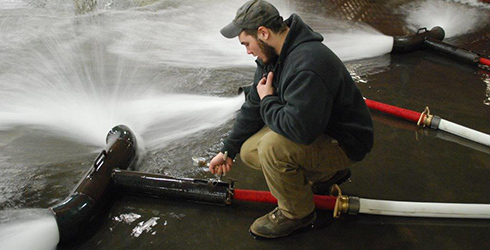 INSPECTION & TESTING - COGSWELL SPRINKLER CO.
Code Compliant: Our highly trained inspectors undergo constant training to assure that they are acutely aware of the appropriate NFPA standards for your particular application. Inspected: NFPA defines an inspection as a visual examination of a system or portions thereof to verify it appears to be in operating condition and is free of physical damage. Our inspectors will note all abnormalities in order to make the proper owner representative aware of such conditions. 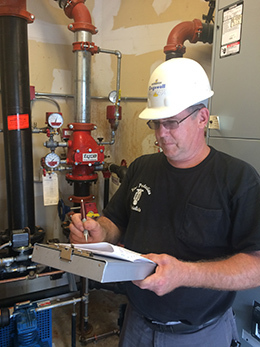 Tested: NFPA defines testing as a procedure used to determine the status of a system as intended by conducting periodic physical checks.